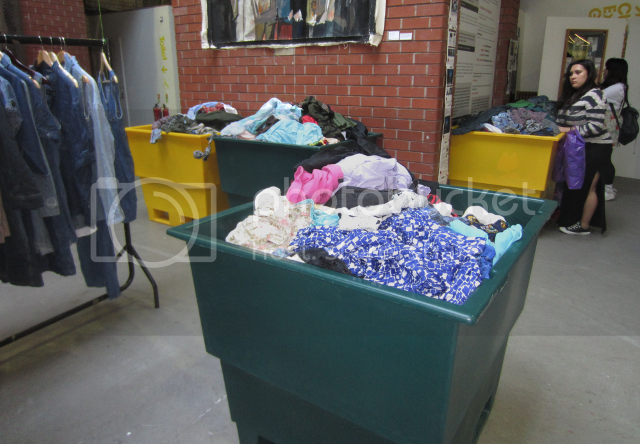 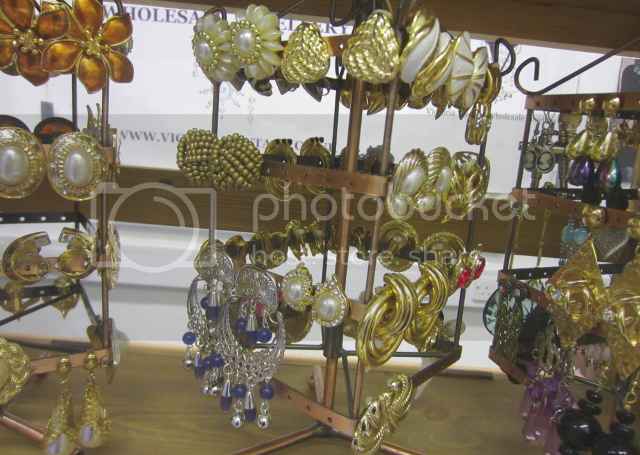 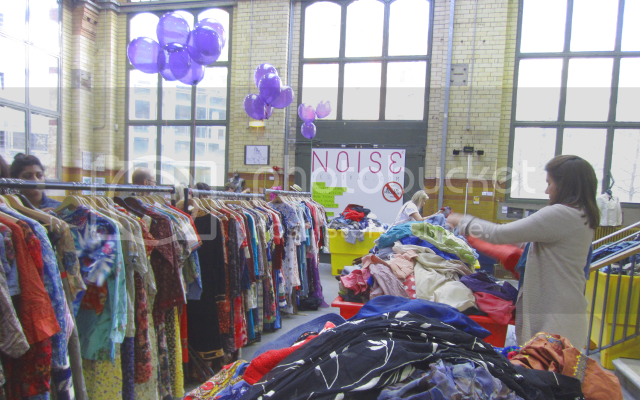 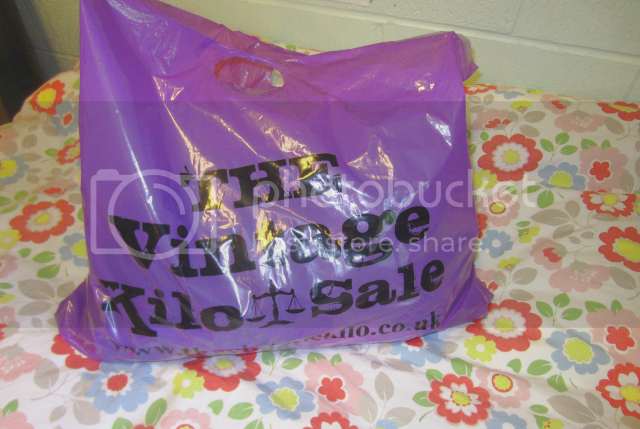 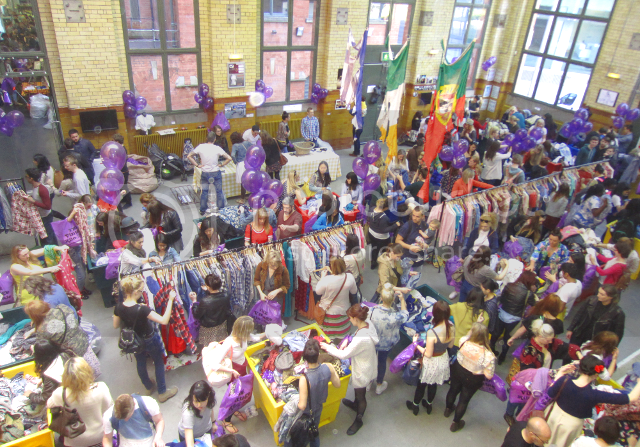 The kilo sale was very different to the vintage fair I went to back in november (click! 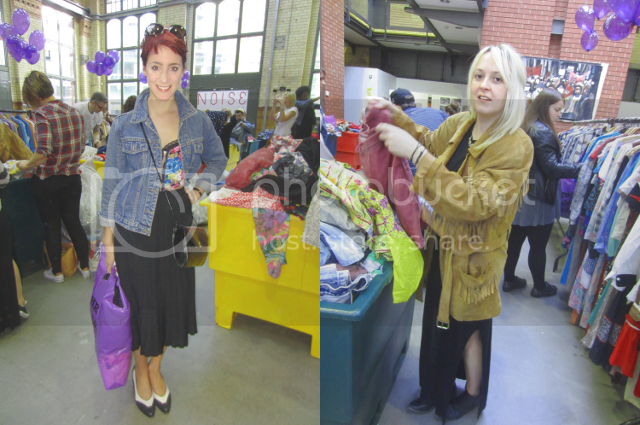 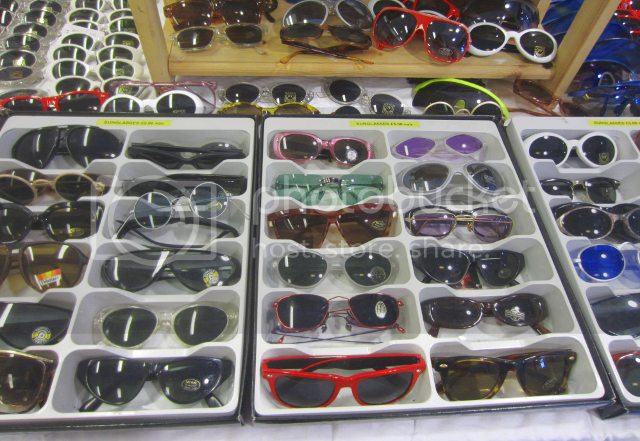 ), it was definitely very hands on rummaging for bargains but uber satisfying when you found something good. 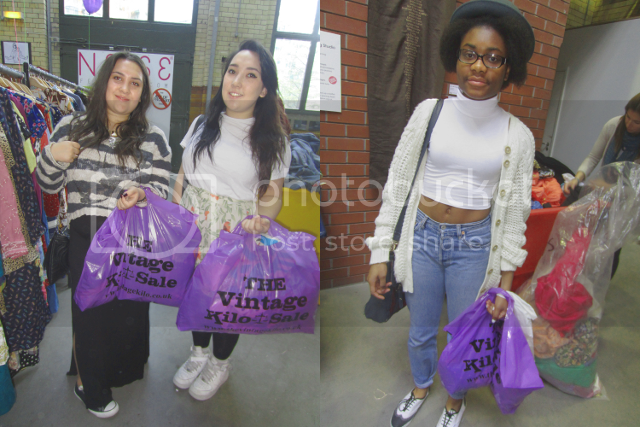 My 'challenge' for the event was to take some 'street style' esque snaps of people at the event. 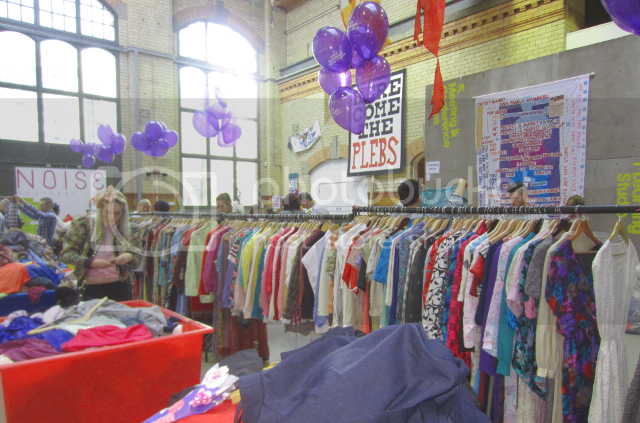 This was nearly impossible towards the end as the sale was so packed! 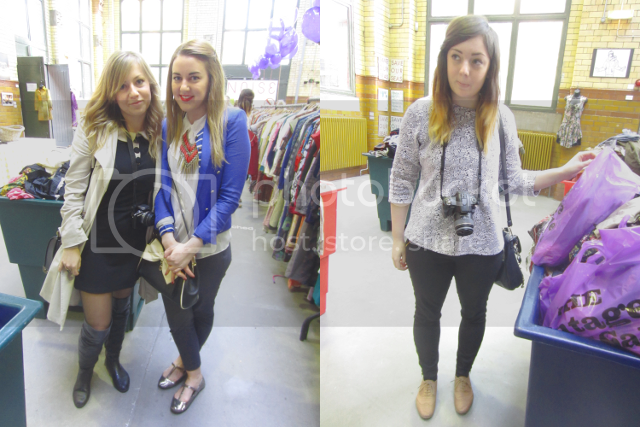 I met some lovely bloggers, please check out their blogs! 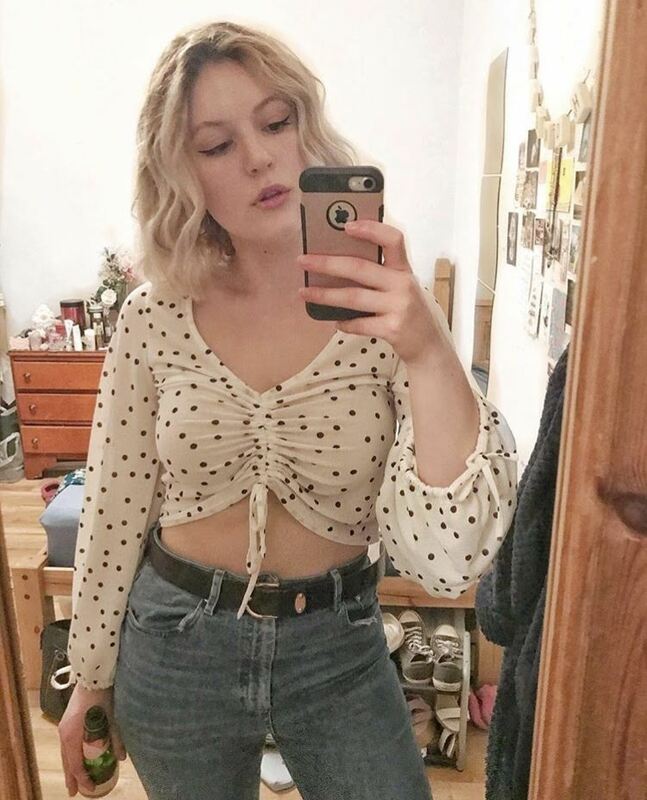 I found some things I'm really happy with including a baseball style top like THIS Asos one, but with teal sleeves and an Old Navy fitted denim jacket.